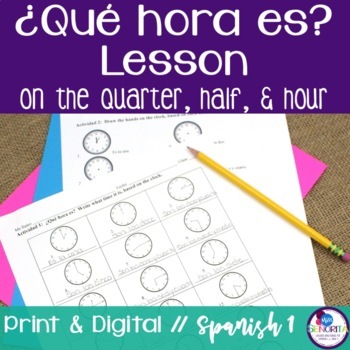 This zip file includes everything you need to teach time on the hour, quarter, and half hour. 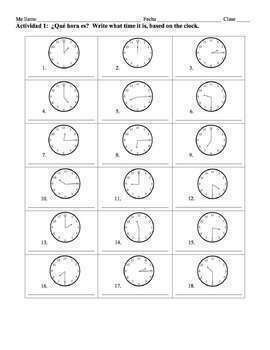 The classwork is a non-editable PDF in order to preserve the clock clipart, and the drill and exit ticket are editable PDFs. The powerpoint is saved as both .ppt and .pptx. Check out the preview to see everything included! This lesson is ideal for a Spanish 1 class in middle or high school. 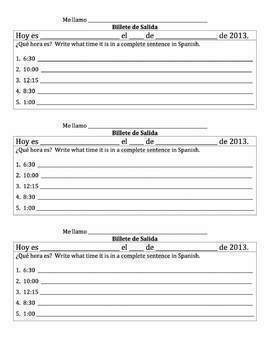 This lesson is included in my Spanish Time Bundle.